Industry relies on high reliability: day in, day out, year round. Our Circulating Fluidized Bed (CFB) and Bubbling Fluidized Bed (BFB) steam generators, gasifiers and metallurgical waste heat boilers (MWHB) are well known in the industry for their high reliability and long life. They have excellent load-following capabilities, enabling them to accommodate rapid swings in process steam requirements and their wide turn-down range means that our units can adapt to temporary or seasonal changes in steam and power needs, operating at very low loads of nameplate capacity. To achieve the highest reliability, we offer SmartBoiler™ to all plant owners and operators. SmartBoiler™ is an intelligent operation and service support tool for monitoring, diagnosing, analyzing and optimizing steam generation and power plant operation. SmartBoiler™ combines our experience and expertise in fluidized bed combustion with advanced information technology. Multi-fuel firing is particularly important in industrial applications where utilizing on-site waste has a high value. 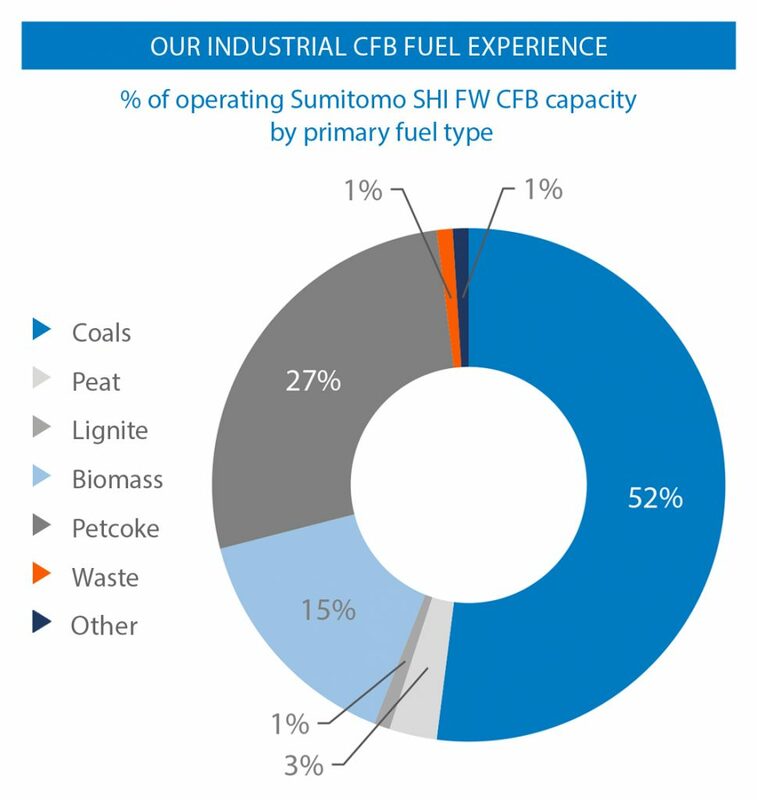 Fuel flexibility is a key factor in unlocking the value of these waste streams since both their quality and volumes can vary on a daily basis. Our industrial products have proven themselves over the widest range of industrial fuels.